Excellent Book on the Difficulty of Getting a Diagnosis for Autoimmune diseases – Filter Me, Please! 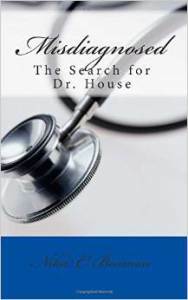 Having gone Thu much of what Ms Beamon describes trying to figure out why I got so sick so suddenly I appreciated her painstaking (not a pun) efforts to find the right doctor and diagnosis. I also appreciated her honesty about how angry she felt at the lack of commitment and interest in some of the medical professionals. She doesn’t sugar coat her story or spout platitudes like God only gives you what you can handle. Very refreshing! Buy it! Read it! Review it! I’m so sorry that happened to you. Unfortunately, I hear this often but I hope you never give up.